Notes As of September 30, 2010, Community National Bank had approximately $31.6 million in total assets and $28.8 million in total deposits. Farmers & Merchants Savings Bank did not pay the FDIC a premium for the deposits of Community National Bank In addition to assuming all of the deposits of the failed bank, Farmers & Merchants Savings Bank agreed to purchase essentially all of the assets. Notes As of September 30, 2010, First Southern Bank had approximately $191.8 million in total assets and $155.8 million in total deposits. Southern Bank paid the FDIC a premium of 0.25 percent to assume all of the deposits of First Southern Bank. In addition to assuming all of the deposits of the failed bank, Southern Bank agreed to purchase approximately $152.8 million of the failed bank's assets. The FDIC will retain the remaining assets for later disposition. Notes As of September 30, 2010, United Americas Bank, N.A. had approximately $242.3 million in total assets and $193.8 million in total deposits. State Bank and Trust Company did not pay the FDIC a premium for the deposits of United Americas Bank, N.A. In addition to assuming all of the deposits of the failed bank, State Bank and Trust Company agreed to purchase essentially all of the assets. Notes As of September 30, 2010, Chestatee State Bank had approximately $244.4 million in total assets and $240.5 million in total deposits. Bank of the Ozarks did not pay the FDIC a premium for the deposits of Chestatee State Bank. In addition to assuming all of the deposits of the failed bank, Bank of the Ozarks agreed to purchase essentially all of the assets. Notes As of September 30, 2010, The Bank of Miami, N.A. had approximately $448.2 million in total assets and $374.2 million in total deposits. 1st United Bank did not pay the FDIC a premium for the deposits of The Bank of Miami, N.A. In addition to assuming all of the deposits of the failed bank, 1st United Bank agreed to purchase approximately $442.3 million of the failed bank's assets. Notes As of September 30, 2010, Appalachian Community Bank, F.S.B. had approximately $68.2 million in total assets and $76.4 million in total deposits. Peoples Bank of East Tennessee did not pay the FDIC a premium for the deposits of Appalachian Community Bank, F.S.B. In addition to assuming all of the deposits of the failed bank, Peoples Bank of East Tennessee agreed to purchase approximately $67.5 million of the failed bank's assets. The FDIC will retain the remaining assets for later disposition. Notes As of September 30, 2010, Earthstar Bank had approximately $112.6 million in total assets and $104.5 million in total deposits. Polonia Bank did not pay the FDIC a premium for the deposits of Earthstar Bank. In addition to assuming all of the deposits of the failed bank, Polonia Bank agreed to purchase approximately $77.1 million of the failed bank's assets. The FDIC will retain most of the assets for later disposition. Notes As of September 30, 2010, Paramount Bank had approximately $252.7 million in total assets and $213.6 million in total deposits. Level One Bank did not pay the FDIC a premium for the deposits of Paramount Bank. In addition to assuming all of the deposits of the failed bank, Level One Bank agreed to purchase essentially all of the assets. Notes As of September 30, 2010, First Banking Center had approximately $750.7 million in total assets and $664.8 million in total deposits. First Michigan Bank will pay the FDIC a premium of 0.50 percent to assume all of the deposits of First Banking Center. 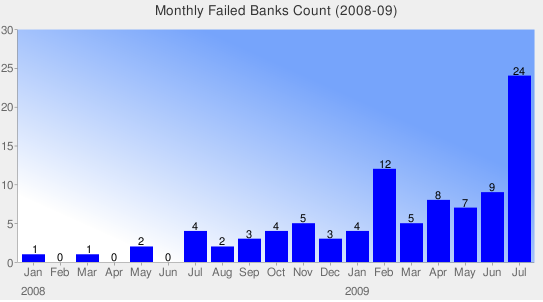 In addition to assuming all of the deposits of the failed bank, First Michigan Bank agreed to purchase essentially all of the failed bank's assets. Notes As of September 30, 2010, Allegiance Bank of North America had approximately $106.6 million in total assets and $92.0 million in total deposits. VIST Bank will pay the FDIC a premium of 0.50 percent to assume all of the deposits of Allegiance Bank of North America. In addition to assuming all of the deposits of the Allegiance Bank of North America, VIST Bank agreed to purchase essentially all of the assets.